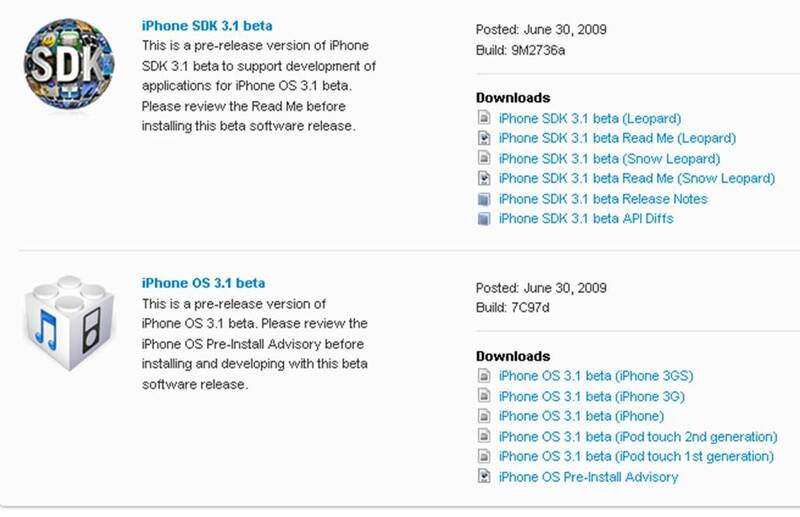 Last night (June 30, 2009), Apple released the iPhone Software 3.1 beta and an updated 3.1 beta Software Development Kit. The 3.1 software beta update has arrived for testing just under 2 weeks since the release of the iPhone 3.0 software on June 17, 2009. Video editing now has the option to trim your clip then â€œSave as copyâ€¦â€ rather then replacing the original clip. *The above features/updates may not all be available in the public release of 3.1 as the Beta 3.1 software is for testing purposes only. On a side note, anyone that unlocks or wants to unlock their iPhone, iPhone 3G, or iPhone 3GS should hold off on the update to 3.1 because the baseband has been changed. I feel as if this update to iPhone 3.1 software is too early. iPhone 3.0 software was just recently released on June 17, 2009 and I have not noticed anything buggy or wrong with my 3.0 running on an iPhone, iPhone 3G, and iPhone 3GS. Have you noticed anything? Are you waiting for a 3.1 update for your iPhone?